DownEast Engraving has a wide variety of medals for all types of sports and activities and every one can be engraved with personal comments and names. All sizes are available in antique gold, silver and bronze finishes. 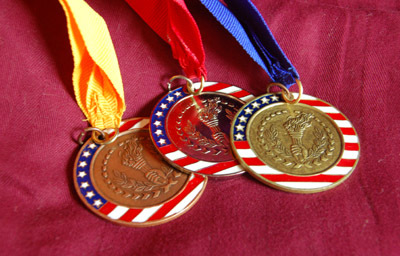 Medals are one of our most popular awards! 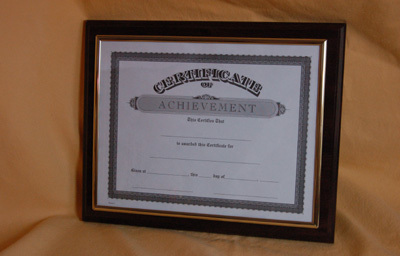 Award Certificates can be mounted on various boards including classic walnut, elegant cherry, oak, black marble, white marble, red marble, greystone, granite or topaz finishes. Borders are available in gold and black also. Please contact us for all the options available to you. Awards are catagorized with different titles: Achievement, Appreciation, Award, Participation, Service, Special Recognition, Volunteer Service and others. 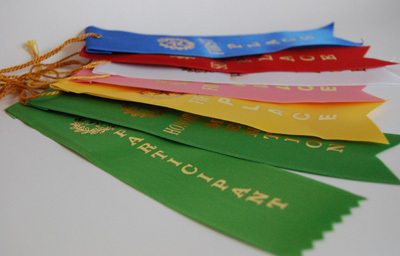 Award Ribbons are available in a selection of colors and titles including: First Place, Second Place, Third Place, Forth Place, Fifth Place, Honorable Mention and Participant. Rosettes are available and you can even create your own custom ribbons!